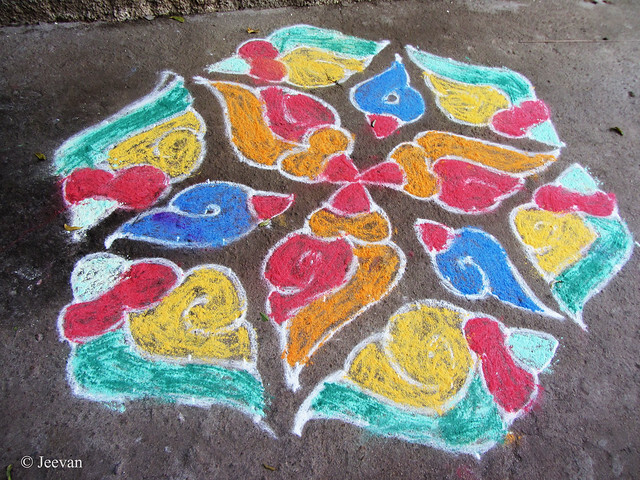 As you all Kolam is a part of our custom and it is drawn in front of the houses to create an auspicious environment. During the Pongal festival it takes a special attention and most of houses (that follow the custom) draw beautiful patterns on their doorstep and drawing pot Kolam enhance the mood of festival. Here I share couple of Pongal Kolams, and the above one was mom’s contribution and it was drawn at our home front and aunt’s (below) was on theirs in the next street. On the evening of Pongal I come around our streets to capture some colourful kolams and I would share them in future post. 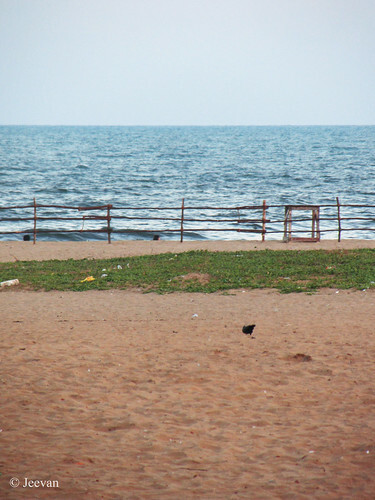 With a day for Pongal, the harvesting festival of Tamils uplifts the mood quite. Being an admirer of festivals, Pongal has a special place in my heart and the value of tradition being preserved at least during this time feels happy. 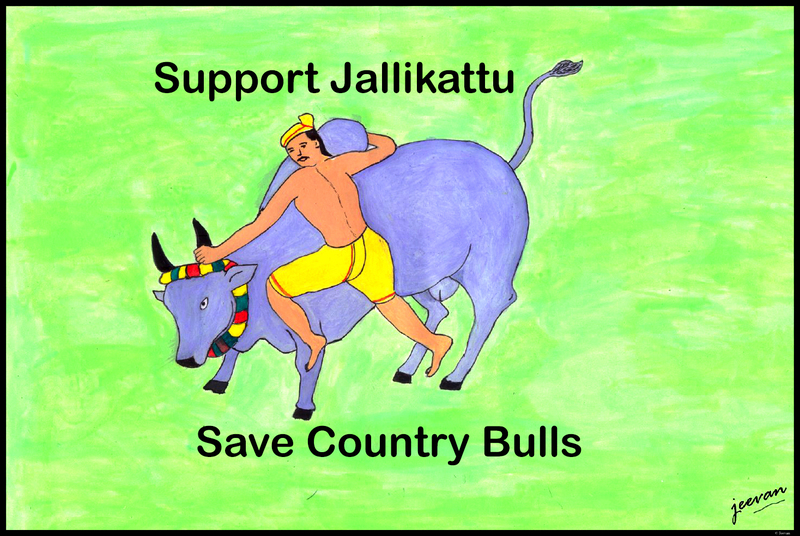 Pongal is not only farmers festival but people who survive, eating their harvested grains should celebrate to thanksgiving the farmers and their close associates of cattle and the natural resources. People in cities mostly celebrate the festival (almost every festival) in front of the televisions and Pongal (boiling of milk and rice, which overflows to be believed as a favourable outcome) is also cooked on cookers rather the traditional way of mud pots. For more than a decade we have been making Pongal on mud pots, but except couple of times on the firewood’s it was the gas stove mostly. The Pongal cooked in mud pots has a distinct flavour and I enjoy having it so much. Though having a spacious courtyard, we didn’t arrange for firewood last year unlike 2015, as our city was going through difficult time due to floods, I have requested mom to prepare for a traditional Pongal this time. 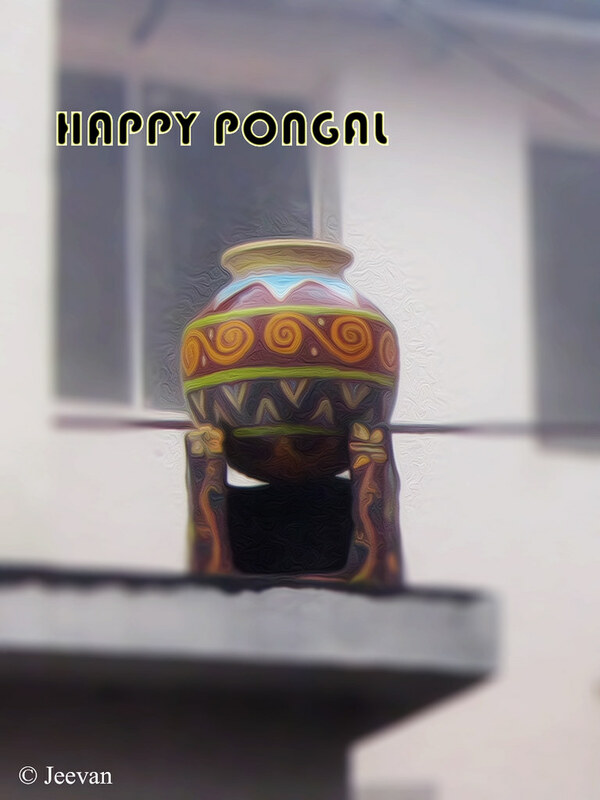 I really love to celebrate Pongal in a village atmosphere where true festival essence exists. 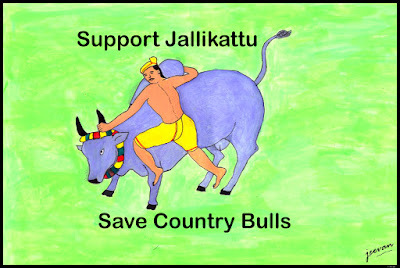 But living in city it’s quite difficult even though I try to visit villages or travel around the countryside to capture the glimpses of Pongal celebrations on the Mattu Pongal or Kaanum Pongal, the successive days of Pongal festival that highlight bulls and entertainment consecutively. 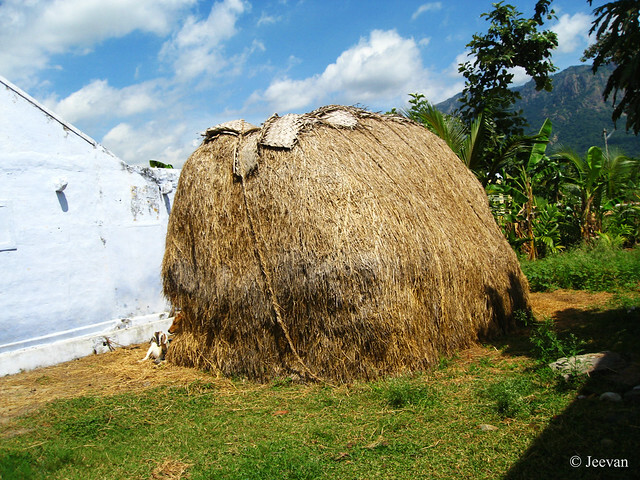 Among the four days of Pongal festival, tomorrow marks Bhogi Pongal where the houses are cleaned and old things are replaced by new or disposal of unused. For last few days our house has been going through much cleaning and mom and dad had taken care of the task. Though it was a difficult job for them, I really got to recover and cherish many things (that I have quite forgotten) while cleaning has left me with ideas which I think of using in coming days. 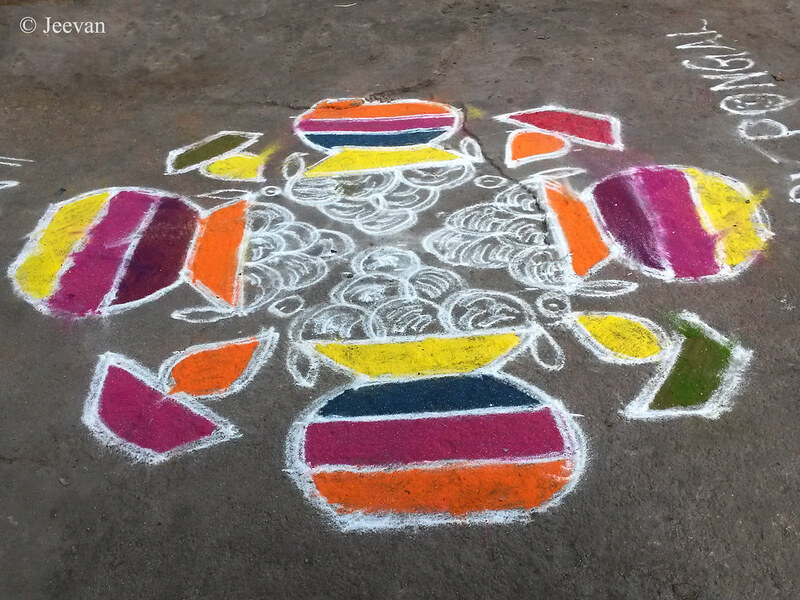 Being Margazhi, the Tamil month of winter, I couldn’t think any other than the Kolam (a fascinating art that continue to attract people from all walk) to be apt to post under the meme, that capture the essence of colors. Margazhi is considered an auspicious month in Tamil and many religious activities take place during this time and drawing Kolam, a pattern or design that adorn the gateway, gets special attention. 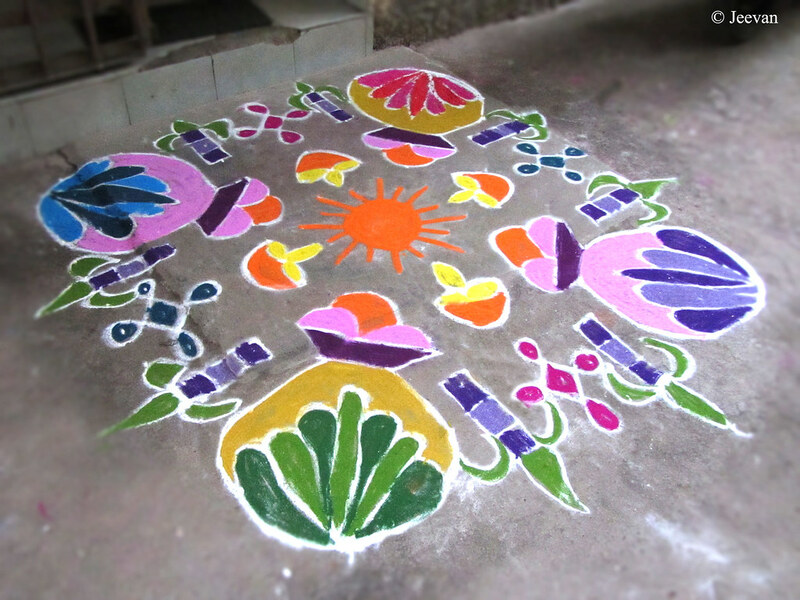 Kolam is a custom followed by every house of Hindus and it’s a daily activity for many, including ours. But during Margazhi the Kolam gets a new least of joy where colors are added to the drawing and everyone try new patterns and brings out their artistic skill through the Kolam. Kolam always been my favourite thing and I enjoy watching different patterns and encourage mom to try new ones and I have also helped her getting patterns from internet. For me, Kolam is apart any belief and its way of exhibiting art and beauty. 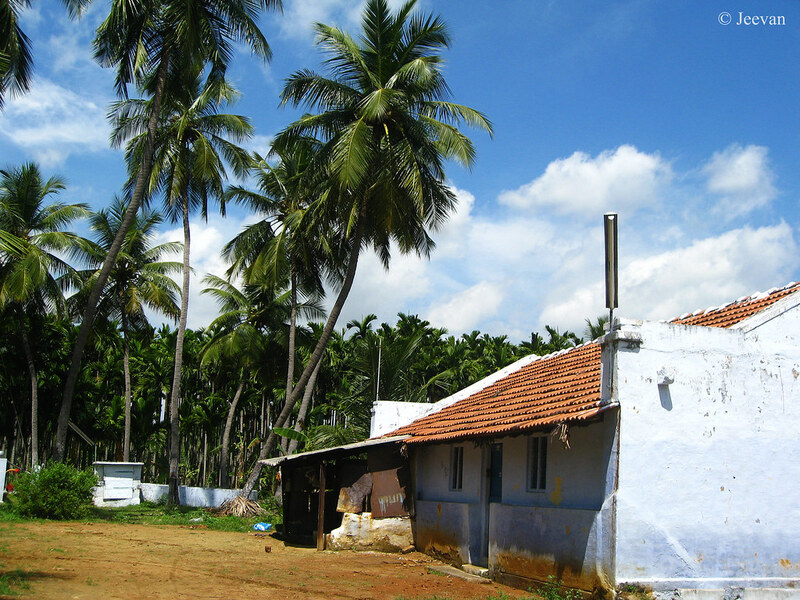 While coming back from Kolli Hills, long before, we stopped at the foothills to have some tea and adjacent to the village tea shop, we found a farm house come cow stable and it captured our attention to take a look and click photos. The foothills of the Kolli Hills are quite lavish with pretty farm lands and plantations of areca and coconut palm. 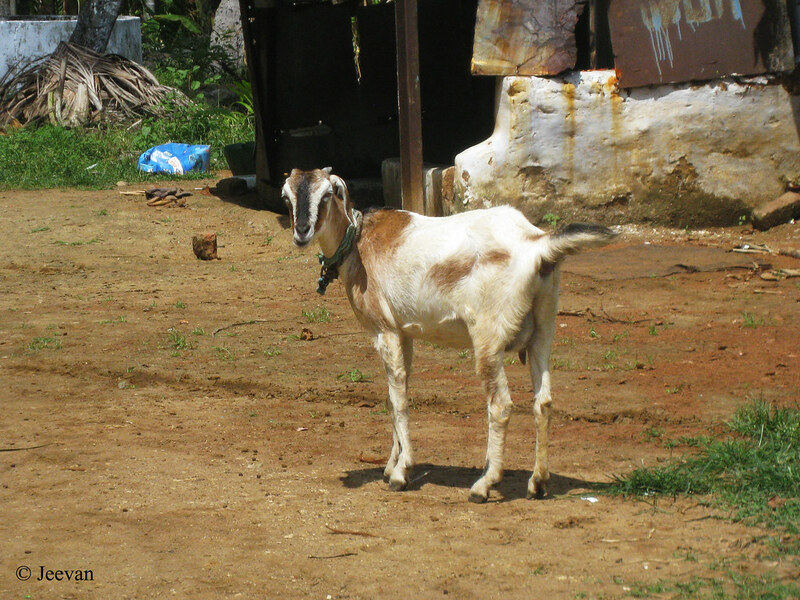 Coming under Namakkal district, which is popular for poultry production, the landscape adopts number of poultry farms that spread across the district taking care of the entire state poultry products and also supports the neighbouring states of Tamil Nadu. I really enjoyed the halt and the cow stable took back to my childhood days and happy moments spent at my grandfather’s village. 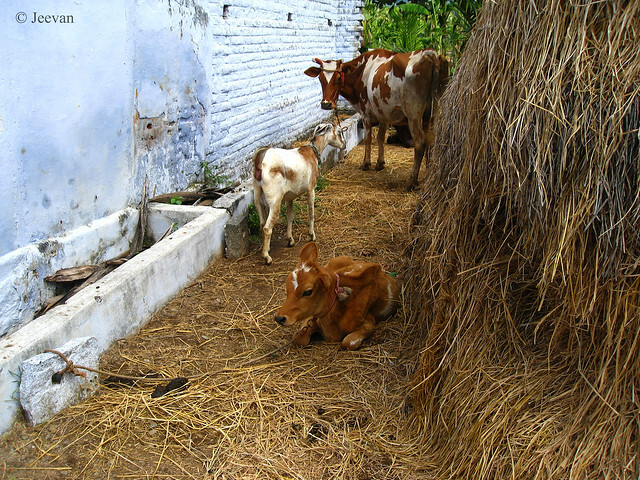 My grandparents had also involved in milk business and reared cows and buffaloes until the year 2000, so the connectivity with cattle is irresistible always. The cow stable has a typical hump of hay and I have memories of climbing the hay piles and experience itching after rolling and crawling along the hay in the grandparent’s village. They usually have a ladder to climb atop to bring down a bunch of hay, from the collected, to feed bulls. The stable has couple of cows and a calf and the untied goat kept wandering around. And he’s a great poser and it’s proved beneath! 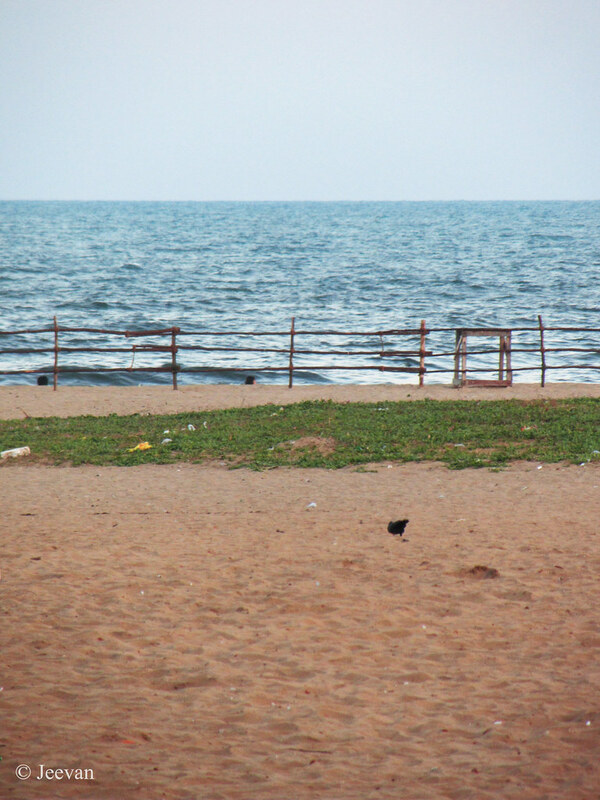 Few days back I was at Elliot’s Beach in the neighbourhood and found fences being erected along the sea front. The fence build with Casuarina woods is laid for the New Year eve to prevent people entering or swimming in water. 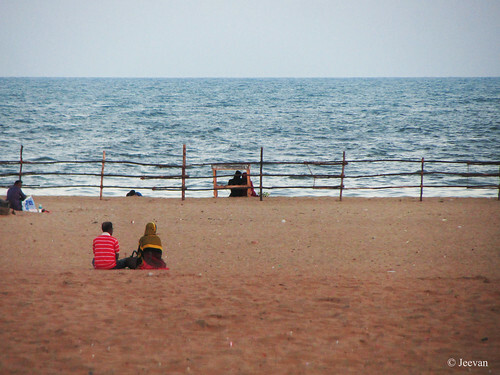 During New Year eve, people throng the beach and keeping away all from the water is not possible and so was the fence and the fence seems to support till Pongal festival (Jan 14-16), with Kaanum Pongal as the last day, would pull crowd. 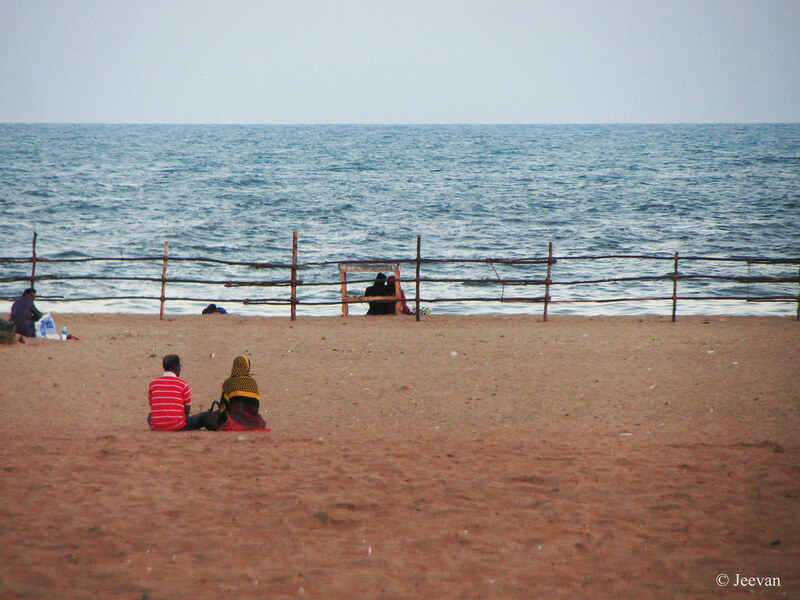 The photos were shot two days after New Year and being a weekday there’s very less people around. 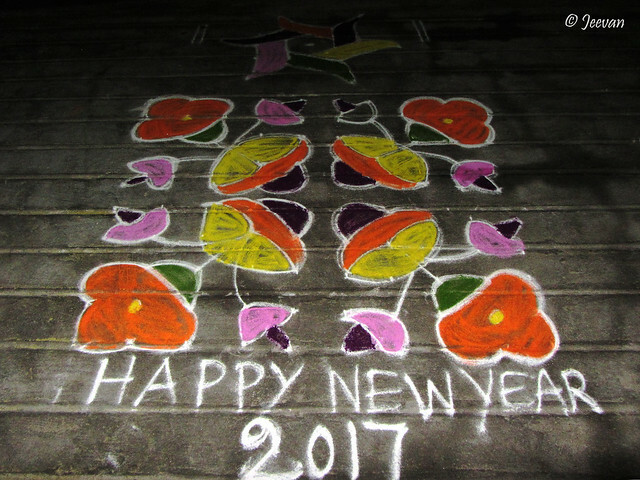 Though I couldn’t consider this as a RGB post, because of missing of the red and blue in the Kolam drew by mom on the night of New Year Eve, I continue to post here as I think there couldn’t be an apt time rather posting now. Because it was a colourful invite for a New Year. For those unknown, Kolam or Rangoli is a pattern drawn (in different forms) in front of the houses, which is a traditional custom followed by the people of India esp. the Kolam is a cultural identity of Tamil people and drawing colorful Kolam in front of the home is considered as auspicious and a sign of welcome during the festival seasons and events.